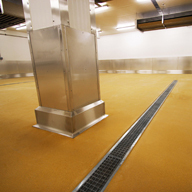 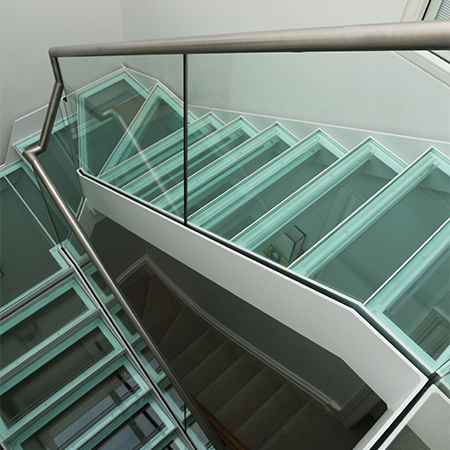 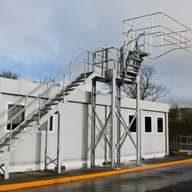 Canal were approached to design and install both a staircase and glass walkway for a private property in North London. 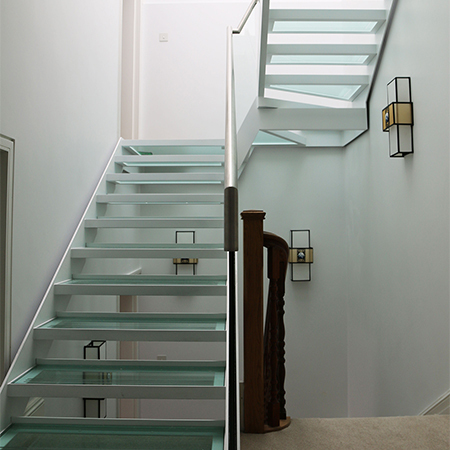 This project required the staircase and glass walkway to connect the existing structure to the new extension and rear garden. 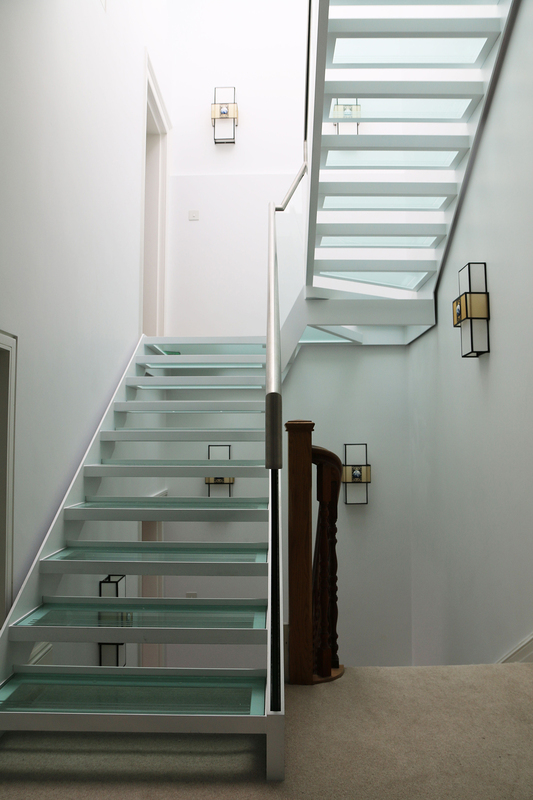 Canal worked with the selected architect to develop a contemporary staircase with glass treads and balustrades to capture light. 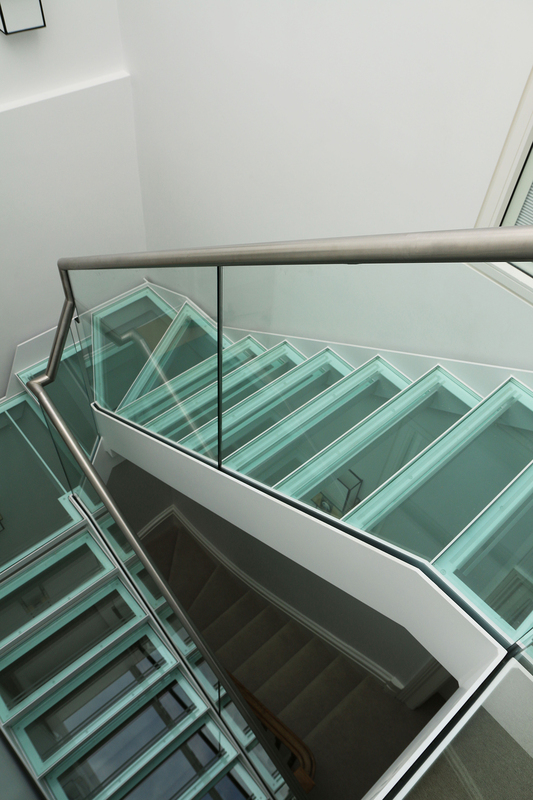 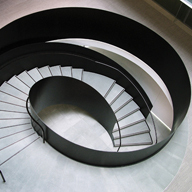 It was finished with an on-site wet spray finish and joints were seamlessly filled to make the staircase look like a single structure, resulting in an elegant, contemporary staircase that captured the modern features of the property.